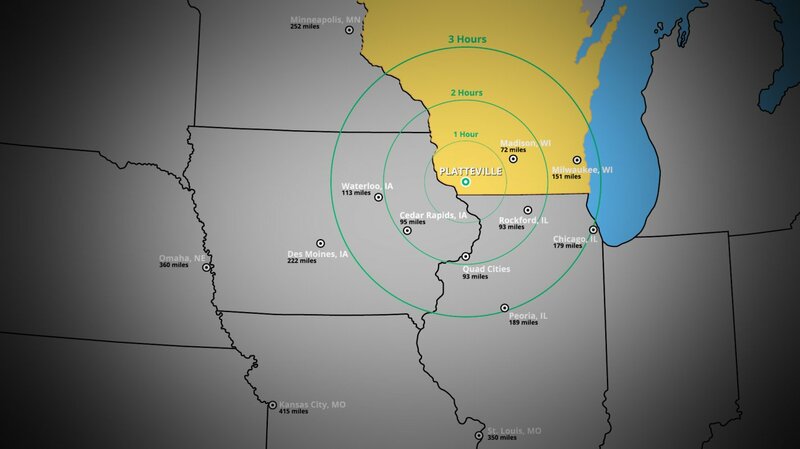 Platteville Area Industrial Development Corporation, known as PAIDC, works to strengthen economic development and quality of life through the growth of businesses in the Platteville, Wisconsin, area. PAIDC has information about the Business Park, available commercial buildings, economic data, workforce demographics and industry clusters. What's Growing on in Platteville? National Construction, Inc. (NCI) is currently working on the Platteville Library Block Redevelopment project. This redevelopment represents a unique public/private partnership that involves the demolition of six existing buildings and the construction of a new 22,000 square foot commercial space which will house the Platteville Public Library and a 72 room Holiday Inn Express. 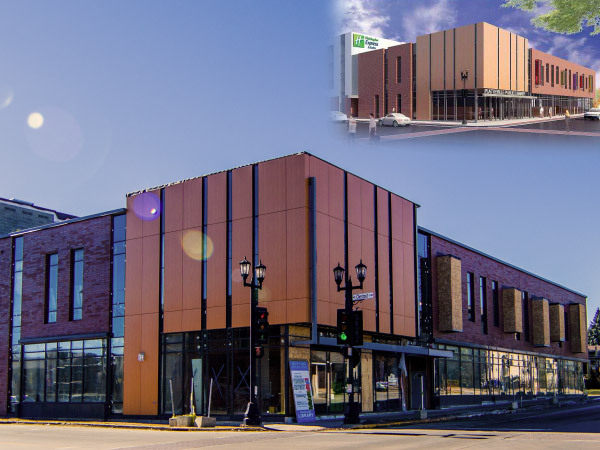 The current library building will be renovated to house the Southwestern Wisconsin Community Action Program health clinic and also include 59 underground parking spaces and 37 surface parking spaces. The project is located on Main, Pine, Elm and Chestnut streets and is expected to be completed in April of 2017. The new library is expected to be open to the public by late 2016.